On May 18, 2017, within the framework of an academic hour of "Constitutional law of foreign countries", D.F. 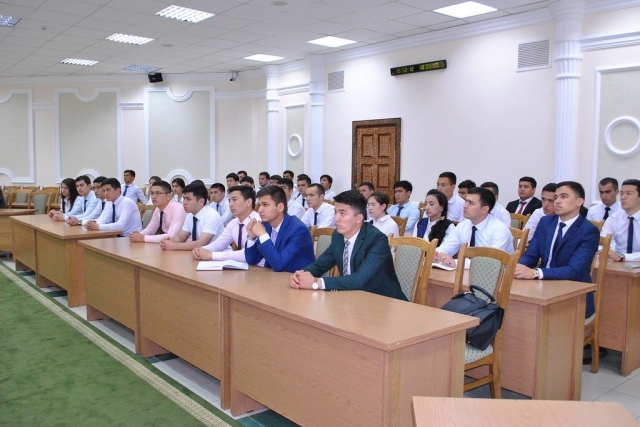 Nurmukhamedova organized an off-site lecture to the Legislative Chamber of the Oliy Majlis of the Republic of Uzbekistan on the subject "Central government bodies in developed countries of the world" for students of the Faculty of International Law. 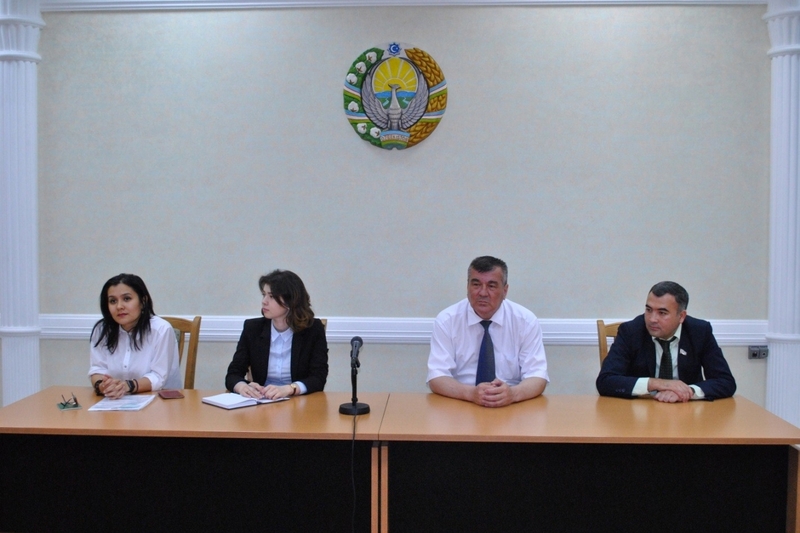 During the lecture, members of the Committee on International Affairs and Inter-Parliamentary Relations K.A. Zhuraev and A.A. Umirzakov, as well as a member of the Committee for Defense and Security Affairs A.E. Rakhmonov made their reports. Questions regarding the concept and system of central bodies in developed countries, the order of establishment, basic principles of activity and the legislative process were discussed. A deputy of the Legislative Chamber of the Oliy Majlis of the Republic of Uzbekistan, A.A. Umirzakov, as an independent observer in the elections of the new President of the Republic of Korea (South Korea) shared his experience concerning statistical indicators of voter turnout, voting procedure and ways of counting votes for each candidate. The winner of the election by voting results is 64-year-old Moon Zhe Ying. 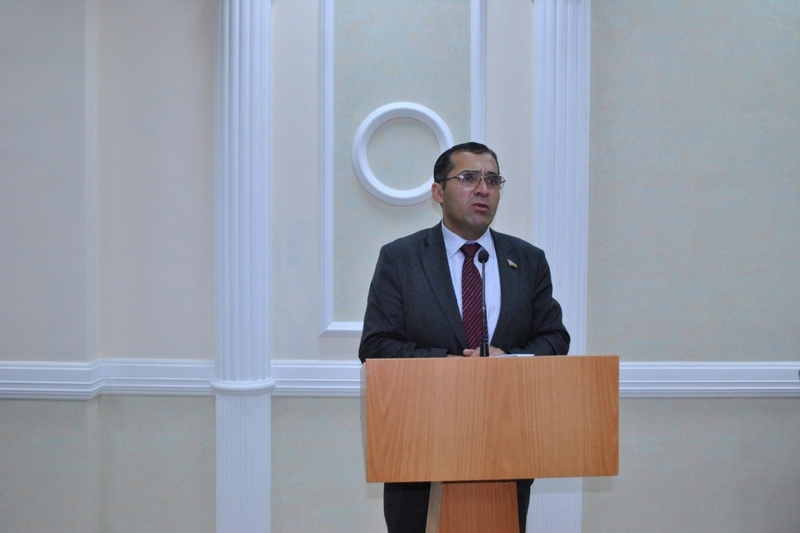 The second part of the visiting lecture was devoted to an excursion to the building of the Legislative Chamber of the Oliy Majlis of the Republic of Uzbekistan, the history of the creation and development of the project of the building, construction, premises and a room for meetings of deputies. The work of the Office of the Legislative Chamber of the Oliy Majlis of the Republic of Uzbekistan, the terms of reference and questions of each committee, faction, deputy groups and the Kengash of the Legislative Chamber of the Oliy Majlis of the Republic of Uzbekistan were described in detail.